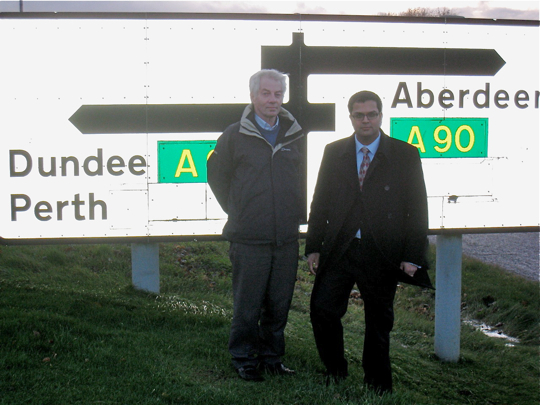 I am calling on the SNP government to go further in improving safety at the Lochlands Junction of the A90 at Forfar. Transport Scotland have proposed closure of the central reservation of the A90/A932 due to the accidents which have occurred at that junction. It was good to see Angus Council’s success in persuading the government of the need for improvements at Lochlands. Whilst closing the central reservation will ease the situation at Lochlands, it may simply move the problem elsewhere. There will be an impact from diverted traffic on local roads, such as the Westport junction, Westfield Loan, West and East High Street. There has to be concern about the risks from large lorries on local roads, particularly for children attending Langland’s primary school. Visiting Lochlands Junction, and with the number of accidents at this junction, it is clear that something has to be done. There is clearly a need for a flyover, allowing Northbound traffic on the A90 to join the Dundee Road safely. I am joining the campaign to ensure the safety of the people driving to Forfar. I will be writing to Transport Minister, Stewart Stevenson to call for his support for a flyover, and I also call on SNP representatives Mike Weir, MP and Andrew Welsh, MSP to back Angus Council’s proposals. Whilst Lochlands has a lot in common with Laurencekirk junction that I blogged about a week ago, each issue needs to be dealt with on its own merits. In particular the Lochlands junction is used by traffic heading into Forfar and beyond. This means that changing access to the junction will have a knock on effect on other junctions and roads. As a result, a flyover is the only sensible option.